It’s finally here. 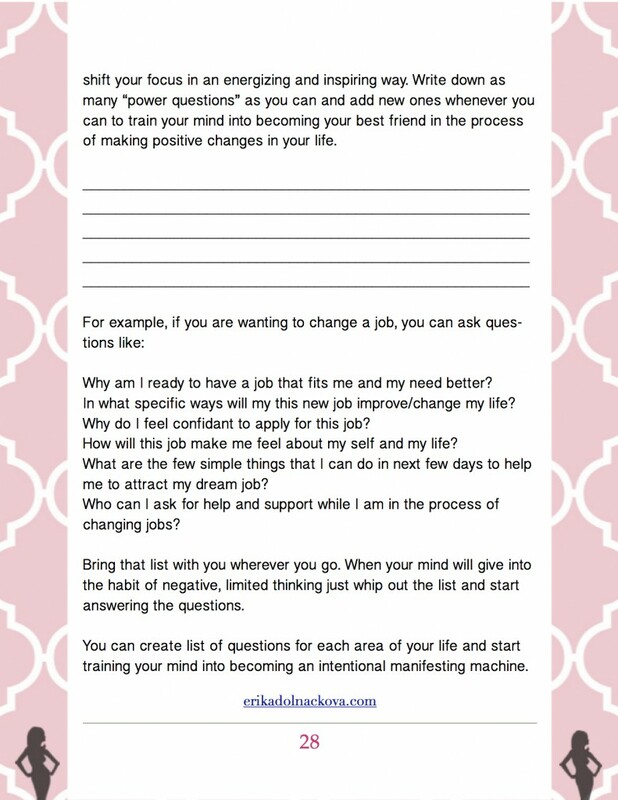 I am so excited to release my first E-book that will soon be available on my website for FREE (yes, you heard right! smile) for all the amazing women visiting my website every day. 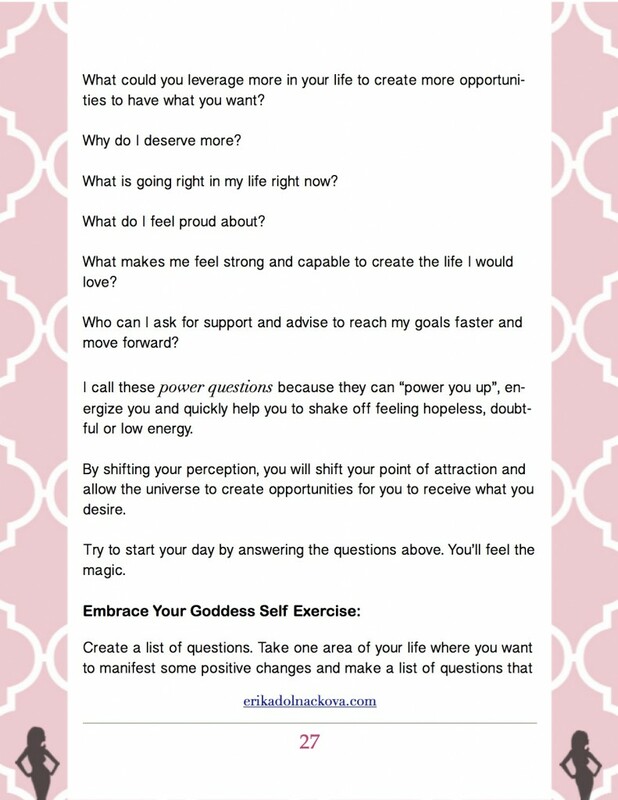 I created this e-book for all the women visiting my blog that want to dig deeper into this this fun and transformational idea of being a Goddess. To me, every woman out there is a Goddess sometimes shining her light bright, sometimes not, but never the less, we are all born Goddesses. 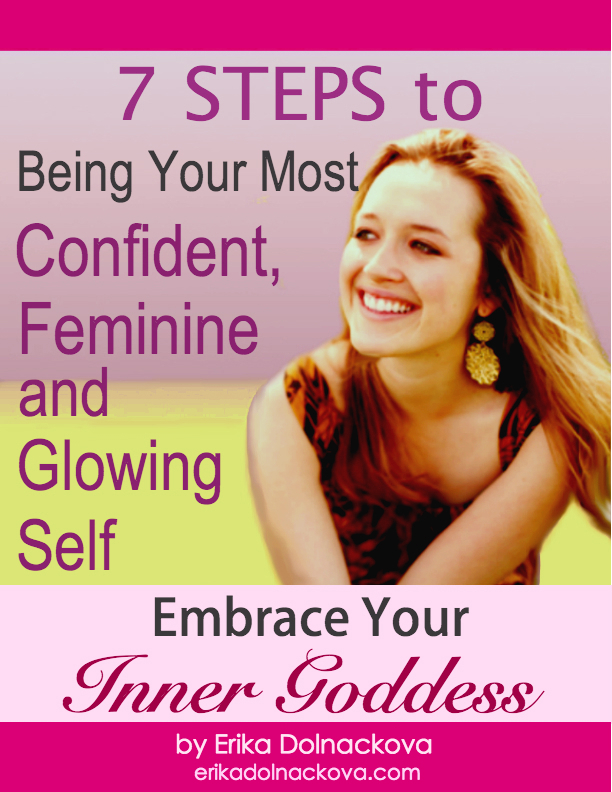 This E-book will take you through 7 simple steps that will help you to create the confidence to share Your Goddess glow with the world, to get clear about the kind of life you really want to live and deserve to have as a woman. 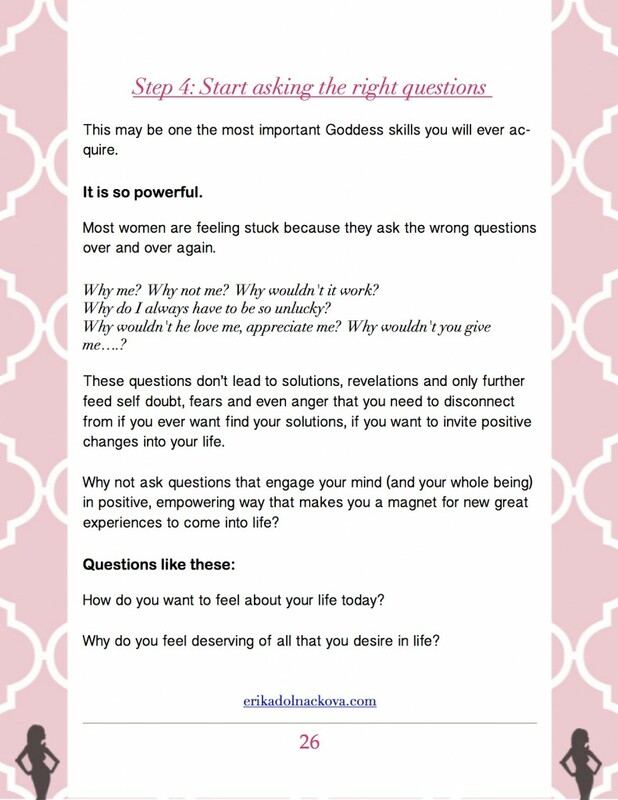 I have packed this E-book with Life Coaching and fun life-changing exercises that will allow to step into your power and create the Goddess mentality so you could attract the best in life. Let me know what you think. I am super excited to share this labor of love with you and the world. I hope it will spark a little Goddess revolution within every woman that will read it. Have a beautiful day and let the Goddess within you guide you on your journey to create the life you love!